I have covered the story of violent jihadism for the past 18 years, and, more than anything else, it has been a slow process of discovery. Looking back, it seems clear to me that, at any given moment in the story, there was always so much we didn’t know. Al Qaeda was founded in 1988 in Pakistan, although it wasn’t until 2002—when the minutes of the group’s first meetings were discovered by chance in the offices of an Islamist organization in Sarajevo—that the facts surrounding its origins were well-understood. Meanwhile, I first became interested in militant Islam in February 1993, when the World Trade Center was bombed. The common thread that linked most of the plotters—who included South Asians and Arabs as well as Americans—was that they had some connection to the Afghan civil war. I pitched my bosses at CNN on the idea of going to Afghanistan to try to scope out the connection between that country and the bombing. That summer, I headed to Afghanistan with Richard Mackenzie, an Australian-American journalist who had covered the conflict there for many years, and Peter Arnett, the CNN correspondent who had been the Western face of the first Gulf war. We were joined by Peter Jouvenal, a British cameraman who had traveled dozens of times with the Afghan mujahedeen groups fighting the Soviets and was well-connected with the various factions now tearing apart their country. The civil war then wracking Afghanistan makes today’s war look like a croquet match. Hundreds of rockets showered down on Kabul every day. Multiple Afghan warlords had turned the capital into a maze of competing fiefdoms where fighters, including child soldiers, fought block-to-block and house-to-house. It was insanely dangerous, and I was glad that I was in the company of men who were all seasoned in war—although even they took quite different approaches to the violence: Jouvenal filmed firefights standing up, while Mackenzie took shelter behind a car, where I would join him. I remember the final “stand up” we shot with Arnett on the Khyber Pass as we headed out of Afghanistan into Pakistan. In it, Arnett pointed out that, just as Lebanon had been the fount of terrorism in the 1980s, Afghanistan would be the fount of terrorism in the ’90s. Still, our resulting documentary left a lot of questions unanswered. We had not identified an organization or a leader who was at the center of the Trade Center bombing. And so, when I read a New York Times article by Jeff Gerth and Judith Miller during the summer of 1996 about someone named Osama bin Laden whom the U.S. government had identified as a significant financier of Islamist extremism, I wondered if he might be the key to the bombing. Again, I went to my bosses at CNN with a suggestion: that we try to interview bin Laden at his new headquarters in Afghanistan. In fact, it turned out that bin Laden had no direct role in the first Twin Towers attack (even though its ringleader, Ramzi Yousef, had trained in a camp on the Afghanistan-Pakistan border where Al Qaeda had dispatched some of its earliest recruits). But bin Laden would, of course, prove to be a key to unlocking the puzzle of worldwide jihadism. Getting to him wasn’t easy, but, after months of negotiations and a certain amount of hassle in Taliban-controlled Afghanistan, we finally met him in the spring of 1997. He was not the table-thumping revolutionary I had expected; he had a retiring demeanor and comported himself more like a cleric. Yet his words were full of rage against U.S. foreign policies in the Middle East, and he promised revenge for them. In early September 2001, I handed in to my publisher a manuscript that traced the rise of Al Qaeda and bin Laden. I had written the book largely as a travelogue, as no one really seemed to care much about Al Qaeda when I started writing. Then, a few days later, I was heading into CNN to discuss the recent mysterious death of the Afghan warlord Ahmad Shah Massoud, a longtime rival of Al Qaeda who had been mortally wounded in what was later discovered to be an assassination ordered by bin Laden himself. As soon as I heard that the second plane had hit the World Trade Center, I knew that the attacks were the work of bin Laden. 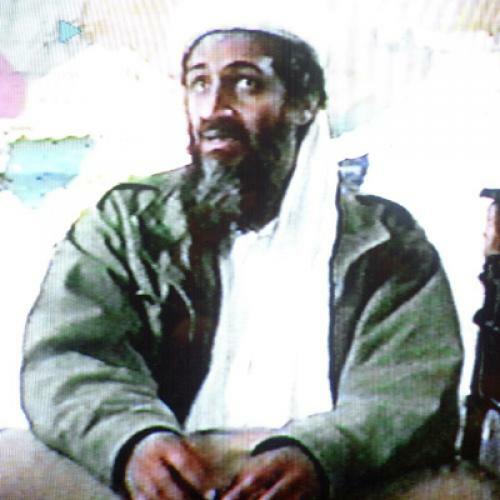 I set out to learn more about the Al Qaeda leader. I met with as many of his friends, companions-in-arms, and family members as I could. A surprisingly universal account emerged: Even erstwhile friends of bin Laden who had now turned against the Saudi exile generally had some nice things to say about him. They noted that he was modest and relatively intelligent, a humble man who had abjured all the comforts of modern life and who tended to persuade by example rather than by hectoring his followers. For me, there was more than a little dissonance in this description; after all, overseeing the murder of thousands is not the act of a modest man. But in my interviews another portrait of bin Laden emerged: that of a man who had been a religious zealot since he was a teenager. The teenage bin Laden’s idea of fun was to gather his buddies in his home in Jeddah to chant religious songs about Palestine. This zeal hardened into fanaticism in the years that bin Laden fought the Soviets in Afghanistan and later morphed into a profound hatred of the United States after large numbers of American soldiers were posted to his native land following Saddam Hussein’s invasion of Kuwait in 1990. I concluded that the key to bin Laden’s personality and actions was his uncompromising religiosity and conviction that he was an instrument of God’s will. He was, in short, a fanatic, a type all too familiar in history. With the benefit of some hindsight, I still think that was correct. Al Qaeda hasn’t been able to mount a successful attack in the West since it bombed the London transportation system six years ago. There is therefore no good reason for us to live in a state of permanent war; and the death of bin Laden, Al Qaeda’s founder and only leader since 1988, combined with the events of the Arab Spring, in which bin Laden’s ideas and foot soldiers have all been conspicuously absent, gives us the chance to move on and focus on other more pressing challenges. That doesn’t mean, however, that we should abandon Afghanistan, something we have done twice already: first when we closed our embassy there in 1989 and then zeroed out aid, and again in the several years immediately after the fall of the Taliban, when the mission in Afghanistan was grossly underresourced and undermanned. It also doesn’t mean we can afford to take our eye off Al Qaeda. Fortunately, the group appears severely weakened at the moment; but that could always change. One thing I have learned from the past 18 years is how little, at any given moment, we really know. Peter Bergen is a contributing editor for The New Republic and the author of The Longest War: The Enduring Conflict Between America and Al-Qaeda. This article originally ran in the September 15, 2011, issue of the magazine.